Besides its great features as a music and media player, the iPod touch is so popular thanks to its ability to run apps from the App Store. These apps ran the gamut from games to eBook readers to informational tools to social networking apps. Some cost a dollar or two; tens of thousands are free. But, unlike traditional programs, apps downloaded from the App Store aren't run on your computer; they only work on devices running the iOS, such as the iPod touch. Which leads to the question: how do you sync apps to the iPod touch? The first step in getting apps onto your touch is to find the app you want to use. To do this, you need to use the App Store, which is a section of the iTunes Store (or a standalone app on your touch). To go there, launch the iTunes program on your computer and click on the App Store tab or tap on the App Store app on your iOS device. Once you're there, search or browse for the app you want. When you've found it, download the app. Some apps are free, others are paid. In order to download apps, you'll need a free Apple ID. When the app is downloaded, it will automatically be added to your iTunes library (on desktop) or installed on your iPod touch (if you're doing this on your touch, you can skip the other steps; you're ready to use your app). You can see all the apps in your library by clicking on the Apps drop-down menu (iTunes 11 and up) or the menu in the left-hand tray (iTunes 10 and lower). Unless you've changed your settings, iTunes syncs all new apps to your iPod touch automatically when you sync. If you have changed those settings, you just need to click the Install button next to the app you want to sync. To add your new apps to your touch, sync your touch to your computer and the app will be installed. Now it's ready to use. That process only works if you're buying apps from the App Store. There are other iPod touch apps that haven't been approved by Apple. 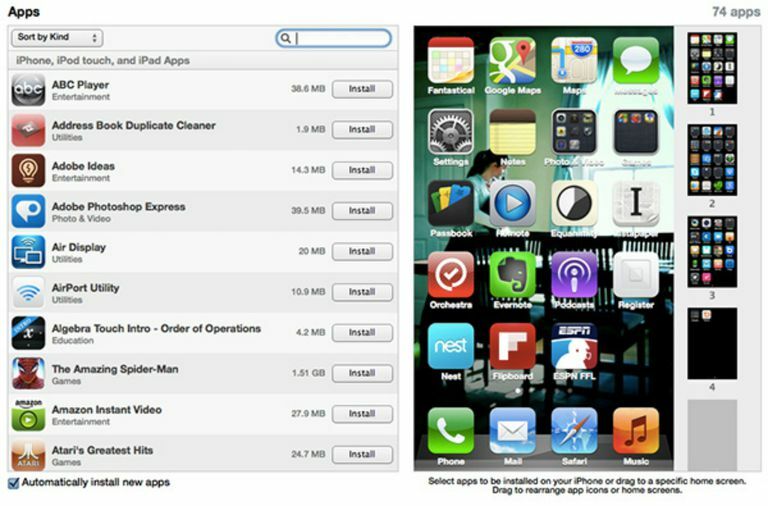 In fact, there's even an alternative app store, through a program called Cydia. Though you can find apps that do some pretty interesting things for jailbroken iPod touches, be very careful in pursuing this path. Only try it if you're expert with your iPod and are willing void your warranty or take the risk to really mess up your iPod touch.